My recent viewing of the film The Good Shepherd and my reading of the CIA History Staff’s 2007 critique of the film left me curious about the fact behind the Hollywood fiction. Hitting upon a recommendation from that analysis and the film’s archived website, I bought a book that had been sitting for months already on my Amazon wishlist. 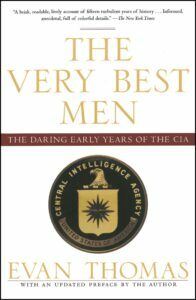 Published in 1995 with an updated preface in 2006, Evan Thomas’ book The Very Best Men promised an intriguing look at the early years of the Agency through the lives and times of four men at the heart of it all. Though a non-fiction work, the four men whom the book follows would make choice protagonists in fiction. Take for example Frank Wisner, the former OSS man who saw first-hand Soviet activities in Romania who oversaw the efforts to “rollback” the Soviets in Eastern Europe as Deputy Director for Plans (DDP) yet suffered from manic depression. Or Desmond FitzGerald, who ran CIA operations in the Far East (referred to as FE) against Chinese communists and in the lead-up to the Vietnam War. There’s Tracy Barnes, a natural athlete who was involved in everything from the 1954 Guatemalan coup to London Station Chief in the late 1950s. Last but not least is Richard Bissell, a latecomer to the CIA but a master planner and risktaker who had been central to the Marshall Plan but rose to DDP where he oversaw the U-2 and the Bay Of Pigs. Cover art of the 2006 edition with an updated preface by author Evan Thomas. Across four hundred odd pages, The Very Best Men presents a portrait of these men at the heart of these “daring early years of the CIA.” From Wisner growing up in Mississippi to Bissell running risky sailing trips on his yawl the Sea Witch, it’s clear these men lived their lives much as they conducted the CIA’s operations: with daring and audacity that could end in lucky breaks or terrible failures. Thomas draws heavily on interviews with the families and colleagues of the men as well as interviews and the then unpublished memoirs of Bissell himself to explore who these men were, one considerably different from the portraits seen in The Good Shepherd for example. These men, for their faults, often had stable home lives for much, if not all, of their CIA careers but still paid what seems to have been a price for living in the secret world as long as they did (three of them died at comparatively young ages). In this case, the fact can be surprising than fiction. Another part of the service that Thomas’ book offers is that it helps separate the myths of those early years from the reality. 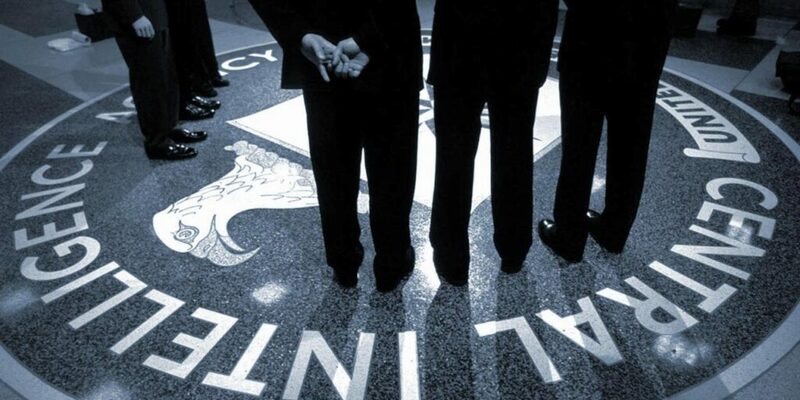 These initial years saw the CIA involved in coups, assassination plots, and everything in between so it isn’t a surprise that they have become the subjects of myth and conspiracy theories. The book wades through them, finding truth in some things such as the speculation about the motives behind the 1954 Guatemala coup to how Bissell recruited the Mafia to be involved in assassination plots against Fidel Castro. Like many myths and tales of conspiracy, there are definite kernels of truth to them and, yet, the reality ranges from more mundane to oddly stranger than fiction. Alongside appearances from the likes of Allen Dulles, James Angleton, and Kim Philby, the book is useful in creating an accurate picture of the more fantastic side of this period. 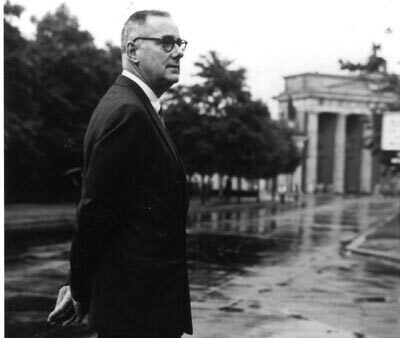 Richard Bissell, longtime CIA Deputy Director for Plans (DDP) and one of ‘Very Best Men’ of the title, seen in 1950s Berlin. The book is also quite a balanced look at the CIA in the period as well. 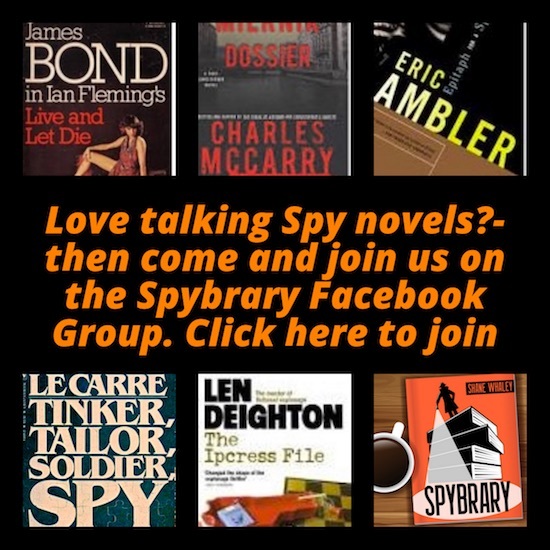 Thomas looks at the highs and lows of the men and the operations they were involved with, from attempts to infiltrate agents into Albania to the development of the U-2 before culminating in the fiasco that became the Bay of Pigs invasion. There are vividly painted portraits of successes such as coups in Iran and Guatemala in the early 1950s, the latter operation being owed far more to luck than anything else which is a lesson quickly forgotten. Thomas just as strikingly explores how it was that by 1961 Bissell and his concept of plausible deniability, as well as his willingness to take risks in the face of adversity, led him to turn an effort to infiltrate agents into Castro’s Cuba into a large-scale amphibious assault doomed to failure. There are also the failures presented as well from Albania (undermined both by Kim Philby and over-optimism in Second World War resistance tactics in the Cold War era) to China, both cases seeing hundreds of men sent to their deaths with precious little to show for their sacrifice. To his credit, Thomas seems to have no agenda to damn or defend but present what happened as clearly as he can through the eyes of those who were there and the hindsight of history. By doing so, Thomas and The Very Best Men renders excellent service. For those intrigued by the early Cold War era or who wish to separate the facts from the fiction that has surfaced over the decades, it is a most useful volume. It also puts a much needed human face on this era and those defining years of modern American intelligence.